A postal worker heads into work for the night shift late Thursday afternoon, Feb. 23, 2012. Employees were notified in person Wednesday night that the U.S. Postal Service Eastern Maine Processing and Distribution Facility would be consolidated, resulting in only 13 of the 183 employees being retained. HAMPDEN, Maine — Employees were notified in person Wednesday night that the U.S. Postal Service Eastern Maine Processing and Distribution Facility would be consolidated, resulting in only 13 of the 183 employees being retained. Two employees confirmed that they were told at the plant Wednesday night that the plant’s processing services would be consolidated and shifted to the Southern Maine Processing and Distribution Center in Scarborough starting May 19. 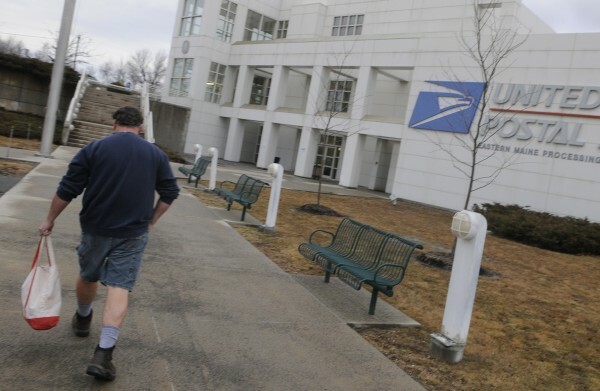 “As far as that, I’m unable to confirm this information,” said Tom Rizzo, USPS spokesman for the Northern New England District, which covers Maine, New Hampshire and Vermont. An email sent to the Bangor Daily News by a Hampden plant mail handler who preferred to remain anonymous and another employee who returned a message left at the plant during his lunch break both reported that they were told during a 6 p.m. “stand-up talk” the transition would begin May 19, be completed by July 6 and result in only 13 employees remaining. “They told us at 6 and they are going to tell another shift later on tonight as well,” said plant employee Pat Patterson. Patterson said they also were told that of the 200 USPS facilities targeted for consolidation or closure nationwide, all of them would be either closed or downsized. The USPS has been studying all 252 processing plants around the country since August. The study recommended shifting the processing duties handled by the Hampden plant, which opened in 1994, to Scarborough. Attempts to reach new Eastern Maine plant manager Hank Dynka at the plant Wednesday night were unsuccessful. “The U.S. Postal Service has a responsibility to notify its affected employees and other postal stakeholders prior to any public announcements,” said Rizzo. 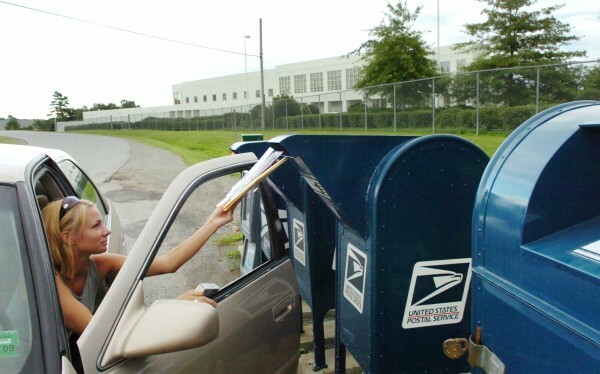 The USPS announced last year it has to cut $20 billion in operating costs by 2015 to turn a profit after losing money for the last five consecutive years because of a drastic decline in mail volume and a prefunding requirement of $5.5 billion per year for 10 years, 2007 through 2016, resulting from the 2006 Postal Accountability and Enhancement Act. A public meeting held in Brewer by the USPS drew 350 people, including Sen. Olympia Snowe, R-Maine, and Sen. Susan Collins, R-Maine, who both were strident in their opposition to the consolidation recommendation. None of the 30-plus people who spoke at the meeting were in favor of the proposal. Snowe personally toured the facility in December and pledged to workers that she would fight to keep it open at its current staffing level. About 70 people turned out for a Presidents’ Day rally to save America’s postal service Monday afternoon, urging congressional action to end the prefunding requirement, which several active and retired postal employees said were the only thing keeping the USPS from posting a profit in four of the last five years. “In a letter today to the Postmaster General, I once again urged him to listen to the people of Maine who have spoken out clearly in strong opposition to this wrong-headed proposal. I hope that he will listen and not proceed with the closure of the Hampden plant for the good of the Postal Service itself, its employees and its customers,” Collins said Wednesday night. Previously a spokesman for Collins said the prefunding requirement is not the only problem the postal service faces. “In fact, the Postal Service did not make these required payments for the past two years and yet was still in the red by $3 billion and $5 billion, respectively,” said Kevin Kelley.